Brendan McCarroll’s superb recent form shows no signs of abating after he fired himself into a share of the lead with a round to go at the HotelPlanner.com PGA EuroPro Tour’s Jessie May World Snooker Golf Championship at Clevedon Golf Club. The West Cliff’s professional returned a second successive four-under-par round of 68 for an eight under total and joins Ryan Campbell and Luke Jackson atop the leaderboard in a three-way tie for first. Campbell (Falkirk Golf Club) started the day in front but quickly found himself in the chasing pack after dropping two shots in his first five holes. Jackson (Lindrick Golf Club) and McCarroll were soon on his tail with it all to play for in the final round. 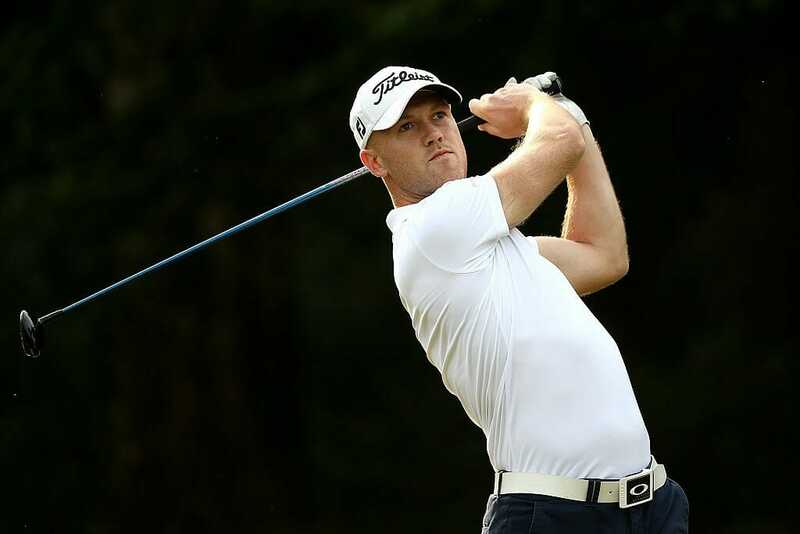 In fact it could have been worse for Campbell, who had a resurgence on the front nine – including a run of three consecutive birdies – carding five birdies in total to set up a battle for his maiden win and £10,000 alongside Jackson and McCarroll. Whitehead’s John Ross Galbraith will be hoping to take advantage of any frailties amongst the leading trio as he sits nicely in behind on six-under-par heading into the deciding round. Stalking the leaders in a tie for 4th, Galbraith fired five birdies in round two and will be hoping for something similar to propel himself to the top of the leaderboard when it’s all said and done on Friday. Tullamore’s Stuart Grehan is not without hope in a tie for 13th on minus four while Team Ireland’s Brian Casey sits one shot further back in a tie for 20th with Royal Dublin’s Niall Kearney is a stroke further adrift on minus two. Waterford’s Kevin Phelan made the final day cut on the number at one-under-par.